Time to start bringing your Switch to the grocery store. Time to start bringing your Switch to the grocery store. 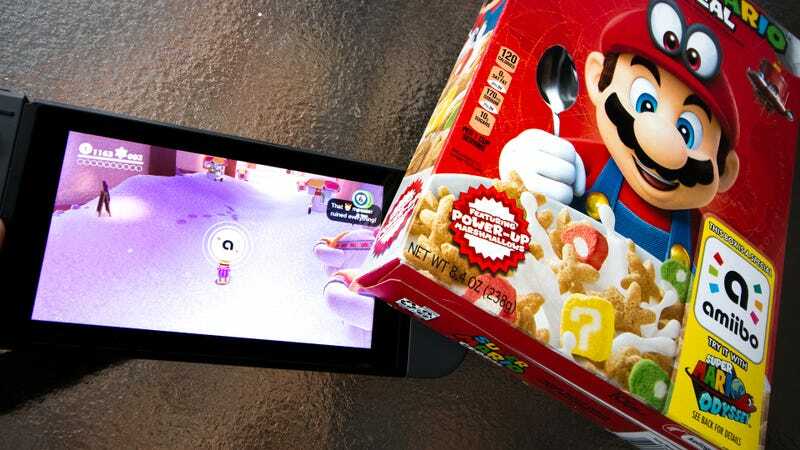 Snacktaku has confirmed that the Amiibo included on boxes of Super Mario Cereal can be scanned without opening the box, which means coins and hearts for Super Mario Odyssey will be available in the cereal aisle starting December 11.